Produced by Sarah Jessica Parker and based on Jessica Cutler’s book, “Washingtonienne” revolves around the professional and personal lives of three smart, sophisticated 28-year-old girls working on Capitol Hill. The show will follow the exploits of Jackie (Rachel Taylor), who moves to Washington, D.C. to pursue a career as a speechwriter but finds herself in a low-level job as a congressional staffer. She seeks guidance from a college friend (Bitsie Tulloch) who’s living a quiet life with her boyfriend (David Furr), who has a professional crush on the senator for whom he works. And finally Laura (Amanda Walsh), a small-town girl whose workaholic ways often come at the expense of a social life and who is constantly defending her Republican views to her liberal friends. 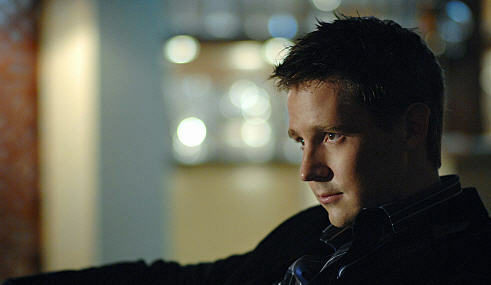 Jason Dohring will play Spencer, a senior legislative assistant for the same senator for whom Jackie works. Also joining the cast will be Kate Burton, who most recently played Ellis Grey on “Grey’s Anatomy”. Burton will play Joy, the senator’s put-upon personal assistant. I must admit that I spent a little bit of this week sulking that Jason Dohring didn’t get cast as Ryan Lafferty on “Brothers & Sisters”, now it almost seems like a blessing in disguise. While Jason has always played men with sardonic wit and charm it’s always been on a serialized drama. I’m really looking forward to seeing him in a straight on comedy. Looks like Carrie Bradshaw knows a thing or two about casting. Welcome back to TV, Jason. We’ve missed you. Guest Stars for Next Season of GLEE Already Signed On – Find Out Who! Yay!! So glad this news is finally out! I knew Jason had been cast in something and was excited about it but I was waiting to see what it was… This makes me happy! Though I would prefer for some television network to finally pull their proverbial heads out of their butts and revive Veronica Mars (Heroes could lose Elle), this is great news for all of us! Hooray! Wow! I’m so happy to find out that more Moonlight alumni landed on new gigs. Congratulations to Jason and Shannyn!!!! I’m waiting on the good news from Sophia. Yeah!! Welcome back to tv Logan!! Another new show I’ll have to watch!